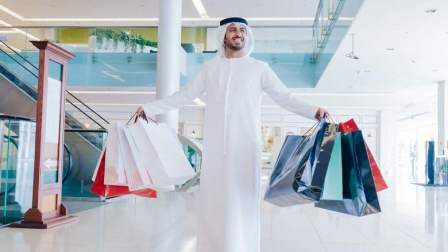 Residents in the UAE are among the world's top 5 spenders when they travel abroad, with an average spend of about Dh10,000 during their last international trip, according to a study released by digital payment firm Visa at the Arabian Travel Market 2018 on Monday. Among the other top nationalities, Saudi Arabia topped with $5,333 for spending while travelling abroad followed by Kuwait ($3,143), China ($2,988), Australia ($2,745) and the UAE ($2,722; Dh10,000). Going forward, UAE travellers will spend more - around Dh12,600 ($3,430) - on their next foreign trips. With regard to travellers spending on their next trips, including the booking stage as well as expenditure at the destination, the top 5 spenders are travellers from Saudi Arabia ($4,800 on next trip), China ($4,034), Australia ($3,529), the US ($3,500) and Kuwait ($3,474). Travellers from the UAE ($3,430) plan to spend more than the global median amount of ($2,443). The study noted that UAE travellers on average carried $1,901 cash to their destinations, which is more than 144 per cent higher than the global average of $778. Overall, GCC travellers bring substantially more cash than other countries. Saudi travellers brought $2,168 and Kuwait travellers brought $2,218 on their last trip, the report said. While 87 per cent of visitors globally have leftover cash after their trips, this is substantially higher for GCC travellers. Around 90 per cent of travellers from the UAE, 97 per cent from Saudi and 93 per cent from Kuwait have cash left over. In addition, UAE residents took 4.8 international trips in the last 2 years but will increase their travel to 5.4 trips in the next 2 years, revealed Visa's Global Travel Intentions Study 2018. In the Gulf region, the majority of spending during the planning and booking phase of a trip was done via card payments; 84 per cent in the UAE, 55 per cent in Saudi and 60 per cent in Kuwait. In the UAE, nearly half of all consumers attribute this preference mainly to lower transaction fees and better rewards for international usage. Globally, trips may be getting shorter but GCC travellers still favour longer trips. The global average is now 8 nights, down from 9.5 nights on average in 2015. The average trip length in GCC countries is 9 nights for UAE travellers, 10 nights for Kuwaitis and 14 nights for Saudis. Marcello Baricordi, general manager for Middle East and North Africa at Visa, said the study also found that digital payment is relevant because travellers want a reliable, secure and convenient experience, without the worry of carrying cash. Iftikhar Hamdani, cluster general manger, Ramada Hotels in Ajman, said outbound travel mainly takes place in summer as people go to Europe and countries with cooler climes. He said outbound travel is growing not just among UAE nationals but there is also a trend among mid-scale or upper mid-scale UAE residents to go abroad during summer. "People prefer going to Georgia and Azerbaijan, thanks to good packages offered to these destinations. However, Western Europe remains the top destination for residents and UAE nationals," Hamdani said. According to Ferghal Purcell, chief operating officer of Hospitality Management Holding (HMH), the spending patterns of UAE travellers going abroad and visitors coming to the UAE are almost similar as they all shop for value for money. "Travellers to the UAE are price-conscious as they look for value for money and good services. We are living in a world where people are a lot more conscious of how much things cost. People don't mind spending money, but they want quality for their money. Most importantly, they want quality of service. "Emiratis have certain travel patterns. In summer, Emiratis travel towards key markets such as North America and Europe. As much as people travel to Dubai for shopping, as many Emiratis travel for shopping. Therefore, patterns of UAE travellers going abroad are similar to travellers coming to the UAE. It is just that they are in different countries," Purcell added. Aly Shariff, chief operating officer, Citymax Hotels, said behaviour and trends of travellers coming to Dubai is very healthy as people look for good value for money. "People are interested in coming to Dubai for an overall experience and hotel accommodation is something they want to spend a large amount on. The UAE is opening up for other nationalities by easing visa restrictions; so, we have good traffic from China, India as well as value-seekers from Saudi Arabia. People coming to Dubai want to have a comfortable hotel, fantastic bed, good showers, fantastic breakfast and want to be located where they can get things conveniently," Shariff added.